MTN network providers is seriously on the go. 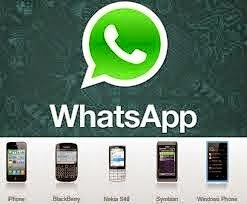 The newly introduced whatsapp plan that MTN offers works on all whatsapp enabled device, including all your smartphones. With this new offer, you can have unlimited conversation between you and your friends and share files (images, audio, video) without any hidden charges. The Unlimited Whatsapp bundle goes for just N60 and it has a 30days validity. To opt-in for the MTN Unlimited Whatsapp Bundle, simply text WAM to 131 and N60 would be deducted from your airtime. Enjoy this offer and stay tuned as we bring you the latest updates. Simply like our Facebook page via here and also join our Email readers.